While a long-delayed sequel is working out swimmingly for "Finding Dory," "Independence Day: Resurgence" fights a losing battle against the twin forces of chaos and sheer silliness. Coming two decades after its mildly enjoyable predecessor -- a movie probably best consumed in bits and pieces on cable, which likely explains its endurance -- the sequel does manage to reunite much of the original cast, with the notable exception of Will Smith. The latest alien invasion doesn't just draw heavily from the earlier film, but from a whole treasure trove of movie clichés. Those range from the "Top Gun"-like feud between the heroes to a "Close Encounters"-like foreshadowing of what's to come, with survivors sketching out visions that are later brought vividly to life. The only real innovation in the story -- conjured up by director Roland Emmerich, his producing partner Dean Devlin and a trio of collaborators -- is that the last attack created a sort of global utopia. Faced with annihilation, the world came together, and is still benefiting from having adopted the gee-whiz technology the invaders left behind. After that, though, it's all pretty much business as usual, with the son of Smith's character, Dylan ("Survivor's Remorse" star Jesse T. Usher), now a top pilot, harboring a grudge against Jake (Liam Hemsworth), another flying ace with whom he'll inevitably be thrown together to help save the world. Emmerich has talked in interviews about the improvement in special effects since the first go-round, but that simply ensures that the showdown will be more protracted, chaotic and loud. Moreover, the movie keeps announcing over and over exactly how much time is left before the world gets destroyed. In practical terms, that simply reminds the audience that this two-hour exercise feels like a pretty long sit, despite its frenetic pacing. Fox, which is releasing the movie, waited to screen the film until opening day, which suggests that the studio realized critics probably wouldn't be its co-pilot on this one. Nevertheless, in what can be seen either as optimism or hubris, "Independence Day: Resurgence" works in a rather obvious set-up for a sequel before it's all over. Based on how this one turned out, let's pencil that in for around 2036. 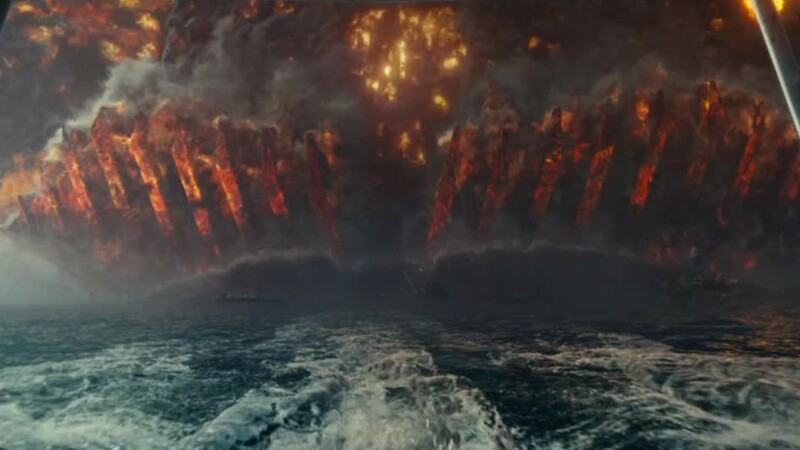 "Independence Day: Resurgence" opens June 24 in the U.S.